Opinion polls suggest that elections for the presidency in Ukraine, due to be held in March 2019, are wide open. The polls themselves should be taken with a huge degree of skepticism as generally they are produced for political parties or media groups with particular oligarchic interests. But a general theme are that former prime minister Yulia Tymoshenko tops the polls, albeit in the low teens followed by a bevvy of other political figures in the single digits. That Yulia Tymoshenko tops the polls is not entirely surprising as she remains an adept political operator and campaigner. Indeed, she is a political dynamo, has a knack of appealing to a particular core constituency, and has retained a strong grass roots political machine unparalleled in Ukraine. While polls show Tymoshenko has extremely high negative ratings, she also manages to retain a loyal core base of support which has not eroded much over the years. Her core support is likely in the 10-15% range. But given her campaigning prowess she is likely guaranteed 15-20% in the first round presidential contest. In a field likely to be very large this time around – perhaps a dozen or more candidates – Tymoshenko is almost guaranteed a place in any second round run off. Looking at the range of rivals to Tymoshenko, President Poroshenko lags very badly — back in fourth or fifth place, in mid single digits. It is tempting to think that with the power of office and patronage behind him that Poroshenko could still muscle out also rans to secure a second round contest with Tymoshenko. But incumbency never plays that well in Ukraine – remember former President Viktor Yushchenko who polled miserably in the elections of 2010, failing even to get into the second round. And opinion polls suggest that in a runoff of two unpopular candidates, Poroshenko would still likely lose to Tymoshenko. Poroshenko is currently selling himself as the last reform hope for Ukraine, a moderate reformer who at least keeps the country stable and can work with the West — trying to contrast this with the unpredictable Tymoshenko. But I think voters increasing see little difference between Poroshenko and Tymoshenko who hail from the same oligarchic class. To pull ahead of the field and eventually beat Tymoshenko, Poroshenko has to pull something significant out of the bag – some kind of endorsement from Western allies, or new impetus on the EU or NATO front. On the latter, there is talk of referenda on EU and NATO membership, perhaps held in parallel to the presidential poll. 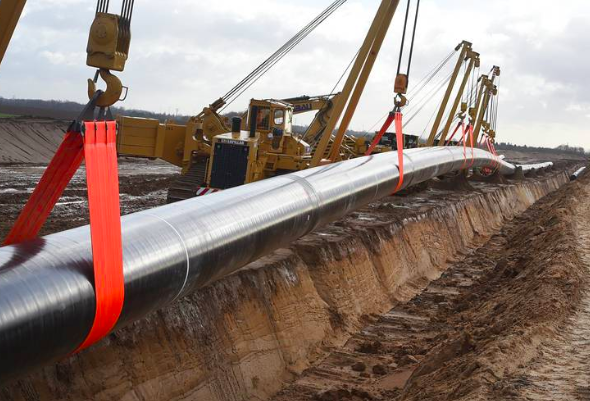 Poroshenko would then try to sell himself as the politician with the best international relations and experience to deliver on these big projects. The problem with both Tymoshenko and Poroshenko, and indeed many in the field, is that they are establishment candidates. They represent Ukraine’s old, and still ruling, oligarchic order. Indeed, both Tymoshenko and Poroshenko have been in and around government for the best part of 20 years. To many, they represent failed policies of the past. This explains why both have such tepid poll ratings and high negative ratings. Looking at the rest of the field, a similar complaint can be made of many of the other candidates. Opposition Bloc leader, Yuriy Boyko, is a former member of Yanukovych’s Regions of Ukraine government, a party which had Poroshenko as a former founding member. Similarly, he is oligarchic political establishment. Boyko polls in the mid-single digits, like Poroshenko. But the perception that he would represent a more pro-Russian view/orientation, makes it almost certain that he would lose to Tymoshenko in any second round contest. Polls show that two thirds of Ukrainians still have a Western orientation. 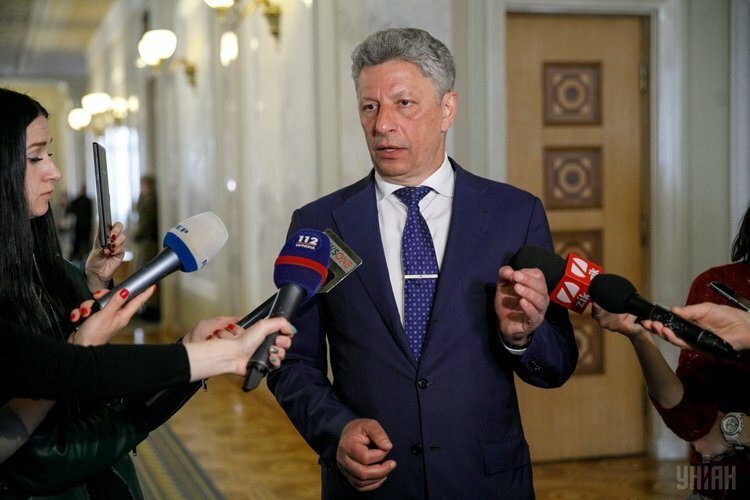 Boyko’s chances might increase should, by some miraculous chain of events, the 2 million voters from DPR and LPR and 3 million from occupied and annexed Crimea be returned to Ukraine proper. But even then, I think he would be beaten by Tymoshenko as the orientation of the country had decidedly shifted Westwards since 2014. 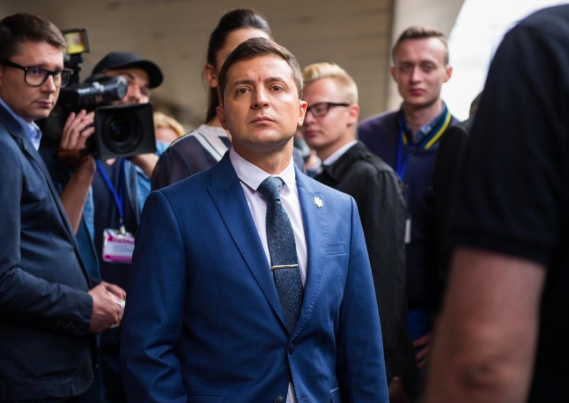 A bevy of populists are in the pack, including the leader of the aptly named Radical Party, Oleh Lyashko, and the comedian, Volodymyr Zelensky. He bears a striking similarity to Beppe Grilllo and his Five Star Movement in Italy. 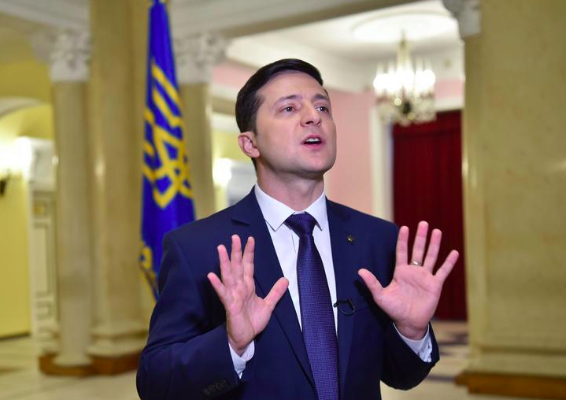 Zelensky could be one to watch – the proverbial joker in the pack. It is unclear who his ultimate political backers are. There is lots of concern that he may well be another oligarchic ‘political project’, which many see as a cancer on Ukraine’s political scene and surely damages democracy. There is much talk of potential for the appearance of a Ukrainian Macron. That said, while Macron created a new political movement, he was still very much French establishment in his own origins. First, Prime Minister Volodomyr Groysman arguably best matches Macron’s CV. Clearly, as a former protege of President Poroshenko, he has trappings of the oligarchic class behind him. 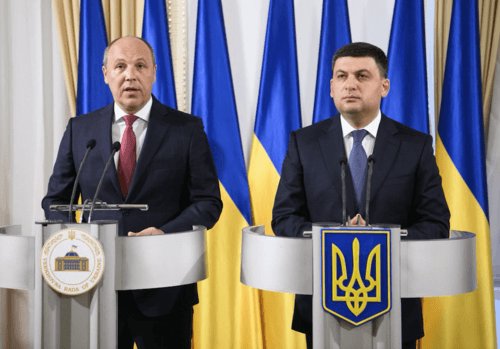 While in office he has steered a relatively independent tack from Poroshenko, much to the irritation at times of the current incumbent in the presidential palace. The rumor mill has it that he is strongly backed by former prime minister Arseniy Yatsenyuk, who himself is thought to be close to other oligarchic backers (Akhmetov, et al). Groysman’s main advantage is his relative youth. I guess he represents a new breed of Ukraine’s oligarchic elites who perhaps could be persuaded to break the existing cartel of the dozen or so oligarchs who dominate Ukraine’s economic and political landscape. He would be the young gun candidate, but of the old elites. Some would see him as too engrained in the old oligarchic traditions to be able, or willing, to impart the radical almost revolutionary change now needed by Ukraine. By pinning his colors to the mast to stall IMF required energy price hikes, Groysman showed his more populist and less reform minded instincts. He clearly has higher political ambitions and seems to be seen by people such as Yatsenyuk as a politician with a future. This perhaps explains his tortuous relations with President Poroshenko, who seems to just tolerate him in his current position as prime minister, more because trying to remove him would create more problems with the Rada in trying to appoint a replacement. Net-net I struggle to see Groysman making it into the second round of any presidential contest. He just fails to offer anything that new and different. Second, Andriy Sadoviy, mayor of Lviv, and leader of the reform minded, Samopomnich (Self Help) Party, is seen by some as offering the best chance of change. Sadoviy has a business/mini oligarch past, making his fortune in media. But he has pushed himself as a liberal market democrat and reformer – tweed jackets and trendy academic spectacles add to the image of an academic or IT entrepreneur. Unfortunately question marks remain as to what compromises his Samopomnich Party has done to fight its own battles against the party of power and the establishment. Its support for last year’s blockade in the East suggested closer relations than some might like with those around the oligarch Kolomoisky. Maybe this was just a case of an enemy of mine is an enemy of yours, but it has raised doubts. Third, and perhaps the most intriguing and promising is the pop star Svyatoslav Vakarchuk. In many respects he seems to tick all the boxes of being beyond the close circle of oligarchs and establishment politicians. He is well educated — PhD in Physics and has been taking a degree in public administration in the US over the past year – readying himself for something. He is a liberal thinker and entrepreneur of sorts. Encouragingly, he has gathered around him a crew of talented market friendly reformers. Opinion polls show him in the mix – mid single digits — without even declaring himself as candidate. This suggests upside if he eventually declares and starts campaigning. He could be the biggest threat to Tymoshenko. But he seems cautious, perhaps overly so, in throwing his hat in the ring. Perhaps he is fearful of failure, or does not think his time is right, and it might be in 2023. But by then it might be too late. Many people would say Ukraine needs a new fresh face now. The risk is of continuation of oligarchic stranglehold and slow death of the economy. This latter scenario sees the flight of young, skilled Ukrainians (1.3 million in Poland), and worrying trends in opinion polls towards a desire for order, populism and nationalism. The emergence of a candidate like Vakarchuk would offer hope that these trends can be reversed. Another to watch is Artem Sytnyk, head of National Anti Corruption Bureau, or NABU. He is young and from a different generation than the likes of Poroshenko and Tymoshenko. But he has carved out major political enemies in his current role. Should he decide to run, many would fear that he might use some of the “kompromat” gleaned in his current role against political opponents in any campaign. But the fact that he has created many political enemies is also part of his political appeal: he has shown guts to go after some high profile names. Whether this can translate into political acumen and a successful campaign is another matter. There are suggestions of efforts by political elites to oust Sytnyk from his position as head of NABU. That might be enough to launch Sytnyk’s political career as he could become a rallying and focal point then for reform groups. Will Poroshenko Change the Rules? There is an emerging third scenario. Facing certain electoral defeat next March, Poroshenko opts to cling onto power through constitutional reform. Poroshenko might push changes which would move Ukraine from a presidential/parliamentary democracy more to a parliamentary system, with a largely figurehead president. Poroshenko might seek constitutional change in the Rada before bringing forward parliamentary elections. Under the current system of mixed PR and constituency based electoral rules, parties close to power tend to do best. By going to early elections and perhaps combining the vote with referenda on NATO or EU membership, Poroshenko would aim to sustain for himself a majority, or head of a coalition, in the Rada. This would head off the threat from Tymoshenko et al, and sustain himself in power beyond 2019. Here, it is hard to see deputies in the Rada voting down reforms which would give themselves more power and political patronage. Reviewing the above, on current trends, and unless Vakarchuk gets new found inspiration, or Sytnyk decides to run, Tymoshenko looks set to secure the presidency in the 2019 elections. This would mean a more populist reform course, but unlikely any meaningful change in the oligarchic political cartel which has run Ukraine so badly over the past 27 years. I might be wrong about Yulia. Poroshenko: Win Elections Through Military Victory? But as the election approaches and if Poroshenko does not see any pick up in his ratings, he may well be tempted to go for constitutional reform. Likely he would use IMF/market financing in the run up to any vote to pump prime growth. But beyond the election, I don’t see a major step up in reform or really any systemic changes in the way Ukraine is run. Again oligarchic interests will dominate. 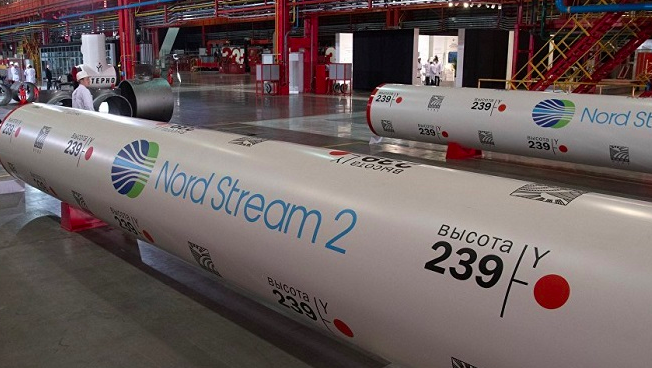 Poroshenko might also be tempted to boost his electoral chances by pushing a security agenda in Donbas, pushing Putin for concessions in the East while Russia’s leader is focused on the FIFA World Cup and desperate to avoid more damaging Western sanctions. This might actually see Ukraine go on the offensive in the East to try and recapture territory and bring a speedy end to the war. Any Ukrainian leader who achieved the latter would surely be guaranteed electoral victory in 2019. 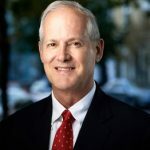 Timothy Ash is senior sovereign analyst for Blue Bay Asset Management in London.